Launched in 2004, the Chronopro was the premiere mechanical chronograph. 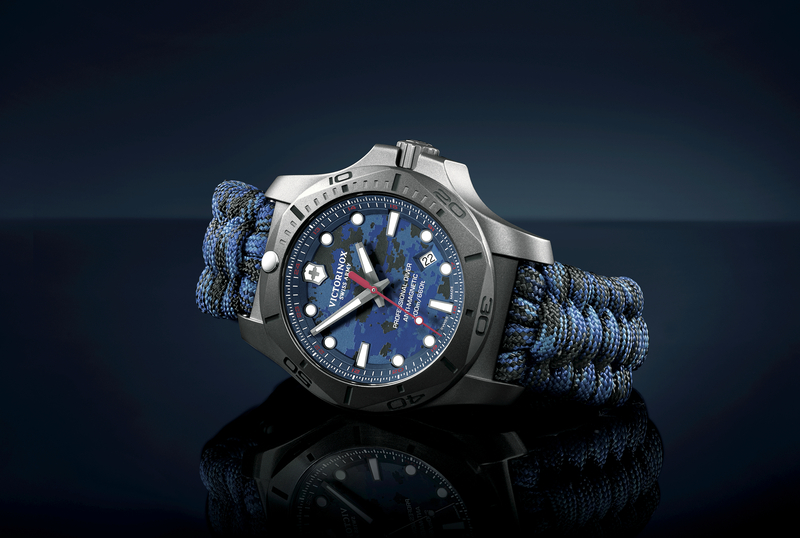 This year’s redesign sports the same 42mm Victorinox Swiss Army solid-steel case with crown protector but adds new functionality and optimizes legibility. Among the most striking upgrades are a dual finish bezel displaying the tachymeter scale, larger numerals and luminescent hands, counters with applied rings and a minute scale on the flange. A bright red 60-second counter hand dominates the enhanced dial, for instant, at-a-glance reading. Turn it over — the powerful, Swiss-crafted Valjoux 7750 movement is visible through an exhibition caseback in mineral crystal. Available on a genuine black leather strap with a brushed matte finish, cream-colored contrast stitching, and an integrated pushbutton folding clasp. 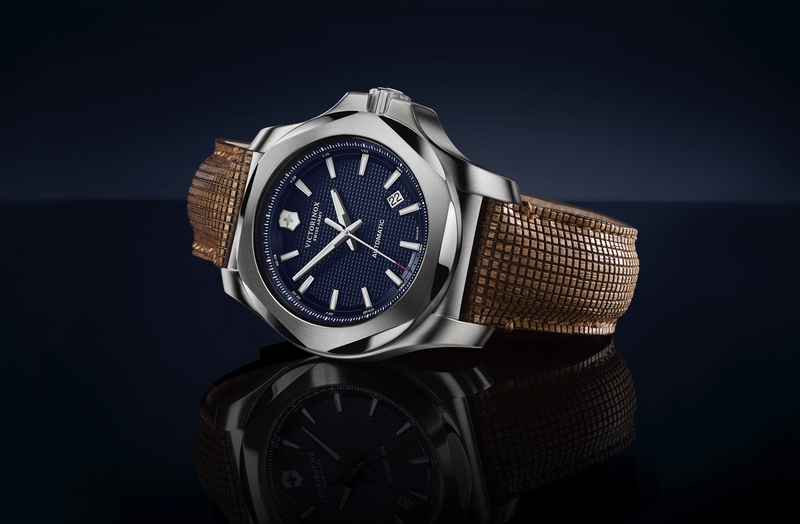 The case is 316L stainless steel and is 42 mm in diameter. 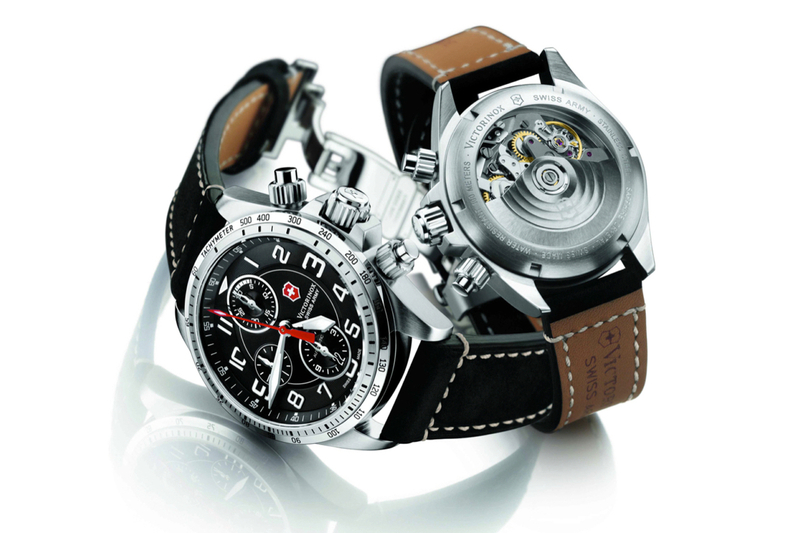 Powering the timepiece is the reliable Valjoux 7750, which is a Swiss-made self-winding mechanical chronograph movement. Power reserve is 42 hours. The bezel features both polished and satin finishes, with a tachymeter scale for speed measurement. The crown and pushers are screw-down, and help maintain a water-resistance rating of 100 meters (330 ft, 10 ATM). The dial is protected by a triple-coated anti-reflective sapphire crystal. The caseback is screw-in, with a shock resistant crystal. Hands and hour markers have a luminescent paint for nighttime visibility. Functions include Chronograph with1/4th of a second precision timing, Central 60-second counter, 30-minute and 12-hour counters, Date calendar at 6 o’clock, Small second at 9 o’clock. 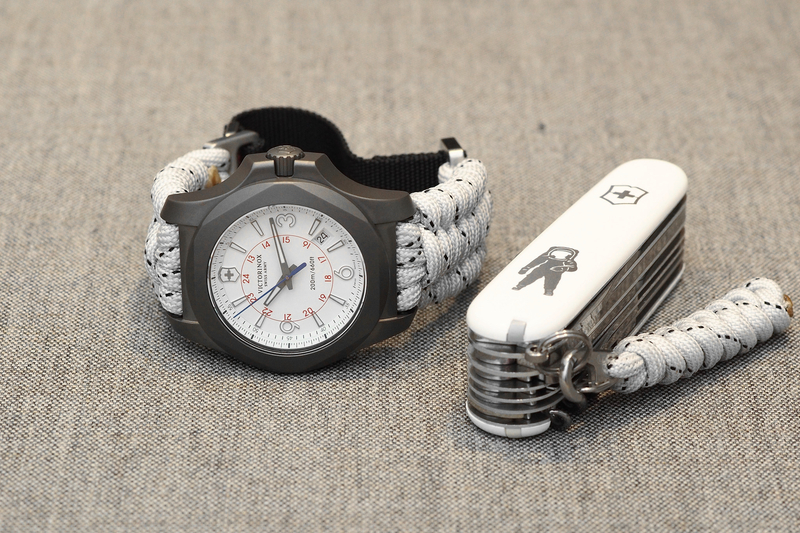 Available with a genuine black leather strap with brushed matte finish, white stitching and folding clasp. The retail price is $1650.